Oh boy, here we go. If you read my Calgary Flames post and the comments that followed it, you know I love the Canucks and I’m going to have to defend placing the Canucks so high in these standings. But, let’s be honest, 10th isn’t really that high, is it? In elementary school, you’d only get a participant ribbon for coming in 10th (Yay, I showed up!). We’re not talking super-elite here, but better than decent, worthy of a little praise and generally better than most. And I would say that this logo is easily better than most. The concept is totally there. It’s got elements of style, strength, character and a definite link to the area it’s representing. It has a concept of simplicity ingrained in it, but yes, it could definitely take some cleaning up as some parts are superfluous and erratic. But first, a very short biology lesson. The animal in this logo is a killer whale. Not an orca. Okay, it is an orca, but a very good biologist friend of mine has informed me that Orca (or Orcinus) is a species name. And there’s a fish and a butterfly which is also called an orca. Strange but true. So, to keep all of you hundreds of trained biologists who I know read this blog about hockey religiously, I’ll only refer to it as a killer whale. Stick-tap to @agignac for the info! Back to sports. I have gone to great lengths to critique the use of animals in NHL logos, with the Panthers and Sharks for example. But never did I say that it couldn’t be done. It’s just hard to do well. The Wild did it well, but there were other issues with the logo that kept it lower. And there’s two more teams with animals in their logos that haven’t come up yet (the Penguins and the Coyotes, and the Blackhawks, if you count humans as animals). Even some minor league teams have veered away from the cartoonish nature that can plague animal-based logos, and it can work very well. So why does it work for the Canucks? First, for Vancouver, the use of the killer whale is a no-brainer. If you have not been to Vancouver or the surrounding area, I might be able to understand not knowing that killer whales are extremely prevalent in the waters around Vancouver, but seriously, they’re everywhere. 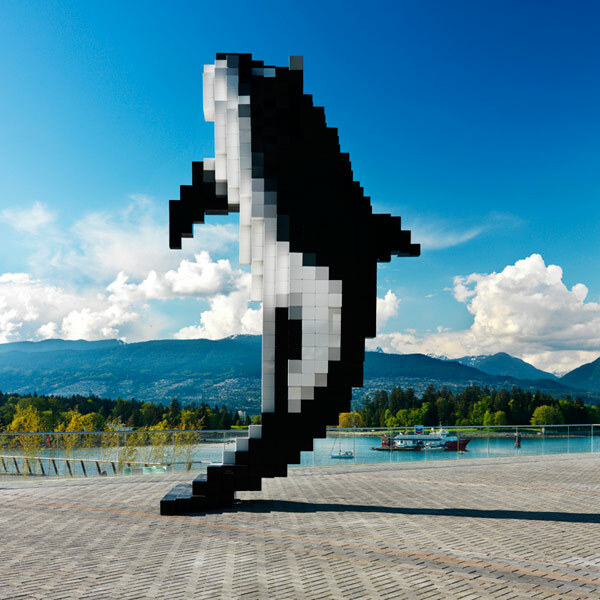 They build statues of killer whales in Vancouver, both by professional artists, and as charity items. Also, at the time this logo was created, the Canucks were owned by a company named Orca Bay Sports and Entertainment. Orca? Tsk tsk. Obviously, they didn’t consult an educated biologist like I did. But, it’s also the styling of the killer whale that connects the logo to the city. Every single element specific to the killer whale is designed with traditional native motifs, including the white element on the dorsal fin and the teeth. The nose/eyes are more of an extrapolation from other parts of Native designs. 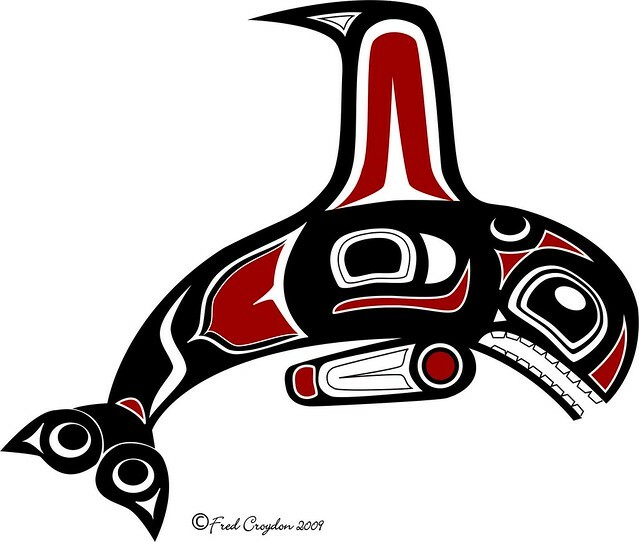 And like killer whales, the Pacific First Nations’ culture is prolific in Vancouver. If you’re not familiar with the stylings of this culture, it might look strange and unfamiliar, but trust me, this whale is designed specifically with Vancouver in mind. 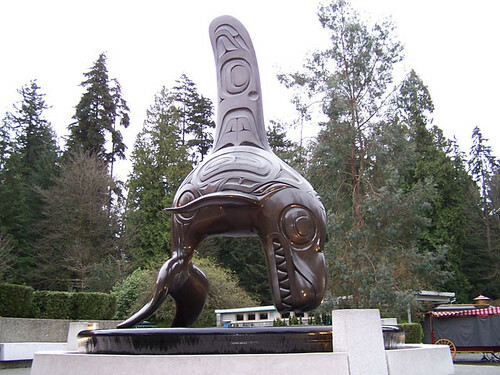 This statue is outside the Vancouver Aquarium in Stanley Park. It’s a killer whale in the Native style and it’s as Vancouver as you can get. I’d say in terms of connecting a logo to its city through its design, the Canucks are easily in the top 3 in the league. That scores major points. And I’m a fan of the Native design style as it’s incredibly distinct, but still uses very simplistic elements to create it. The teeth are simple and not cartoonish. The eye gives an element of anger and strength, but it’s not overdone. The element on the dorsal fin is a small element that compliments the rest of the whale perfectly and allows the eye to follow the contours of the C. Without it, it looks a bit bare. With it, you know exactly the style that the designer was going for. The nose, meh, unnecessary and at small sizes it’s almost undistinguishable as anything. That, you could definitely lose. The killer whale is also done well in the sense that it’s kept minimalist, using only one colour plus white, with very simple features to distinguish it as a killer whale: two fins and teeth and eyes. Aside from the nose thing I already discussed, it’s as minimal as necessary. As I’ve said before, more is not more. Less is not more. ‘Just enough’ is more. Okay, I’ve beaten the killer whale to death. Moving on to the “C”. The shape of the letter itself is really nice, elongated to give it some style, solidity and more of a contemporary edge. As a letter standing on its own, it would look something like this. A little thick on the left, but it has a contemporary yet classic feel to it. It’s actually similar to another iconic “C” in hockey, but it’s modified enough that it’s still distinctive and independent of its Montreal cohort. It’s fitting that they use a similar foundation for their logos, as Canucks and Canadiens mean the same thing. The differentiating point between the two is that the Habs have that notch at the top right part of their C, the Canucks have their C a little more angular, coming to a point on the left. The colour scheme is nice as well, basically two-tones of blue and a grey, keeping it very simple, and mixes nicely with the green of their jerseys. Is the green necessary? I’m not totally convinced, but it’s a nice callback to their original jerseys and logo. And the new colour scheme flatters the logo a lot more than the original colours of the logo. That’s just crazy ugly, and a little more typical of ’90s design. It shows you how much colour can destroy a decent logo. Before I convince myself on how great my team’s logo is and push it farther up the standings, I’d be the first to admit that there’s some negatives. First, and most obviously, is the ice that the whale is busting out of. I like the concept of incorporating the whale into a “C” in a way that somewhat makes sense for a logo, but breaking through ice with shards flying everywhere is a bit over-the-top and, again, typical of ’90s (Xtreme!!!) design. It’s bordering on cartoonish and could be refined. Here’s a version with things toned down, and with then nose removed too. A little more sleek, a little more simple. Also, the extra grey outline seems unnecessary. I know sports logos generally love outlines of all sorts, but there ends up being three outlines around the bottom part of the C, which is usually one too many. 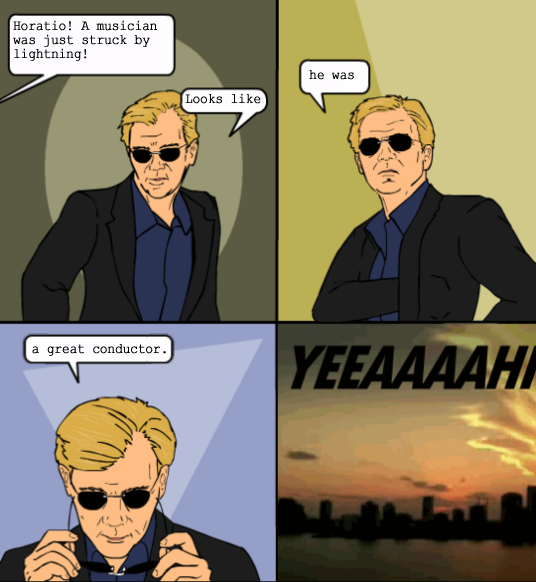 Nobody likes to see too many outlines, except David Caruso who would otherwise be unemployed. So, there you have it. My impassioned plea to everyone who hates the Canucks logo. To me, it’s a damn fine logo. Great concept, good execution and connects itself to the city. Are there flaws? Definitely, but that’s why it’s in 10th place and not higher. Either way, that officially brings us into the top 10 and finishes off the Northwest Division. As a design student and hockey fan (a Canucks fan to boot), stumbling across this site today was an absolute joy. Cheers. I found your re-design of the current logo to be a bit worse honestly, but then again the current logo is no hell either. I think my real dislike of their logo is that unless you are seeing it up close, it is hard to tell just what you are looking at. If you are not able to get a decent view of it (common occurrence in a game, the most likely place to see it), it has a sort of unsettling to the visual part of the brain effect, trying to subconsciously process and comprehend it (as our brains often do). It has this look of a jumbled mess in that situation (not unlike the Wild’s logo, though that one is way worse for that). However, your blog, you’re the design guy (not me), and you’re a Canucks fan. I’ll just chalk it up to half my not being a design guy and half to you being a homer. I’d actually argue the opposite. If you look at it from a distance the shape is nothing more than a C with a killer whale with a large fin, which is exactly what they were going for. The breaking ice was just a way of making that concept (kind of) make sense. Though, as you mentioned, I have an emotional vested interest in the logo, but I tried my best to disconnect myself from that. What gets me a little is that the nose looks 3d and the rest looks flat. Brain says ow. OK, I’ll admit you have a pretty good defense of the Canucks’ logo. Still not my favorite, but I appreciate what they were trying to do. How do you feel about the pairing of “VANCOUVER” above the logo on the front of the jersey? I was wondering the same thing. I know it’s not part of the logo, which is what this list is analyzing/ranking, but the jersey would look so much better with just the C/killer-whale logo. The arched VANCOUVER with no flare to it looks like an afterthought that claims, “People won’t understand the logo, so we need to tell them more.” That in and of itself deflates the impact of the logo. Either let the logo stand on its own or head back to the drawing board. As a Blues fan, I can’t tell you how frustrating it was in the 80’s when Ruth Ornest added that obnoxious BLUES over a miniature version of the blue note logo. The same could be said about this Canucks logo. I agree with both of you. I think the “Vancouver” is unnecessary. I’m not sure what the reasoning was behind it, but I heard rumours that it had something to do with the Olympics coming to Vancouver, so they wanted to advertise that as much as possible. Not sure of the validity of that though. Hopefully they follow the Blues’ lead and eventually eliminate it. 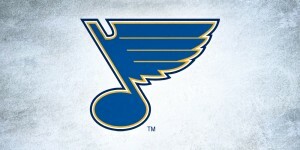 I remember the Blues’ ’80s jerseys and yeah, definitely an unnecessary element that took away from a great logo. The “Vancouver” wordmark is a nod to the Vancouver Canucks of the old Western Hockey League. Using “Vancouver” instead of “Canucks” on the current jersey makes sense in my opinion: The Logo consists of the C for Canucks and the orca as a representive of of BC/the West Coast. So the wordmark is the link to the city of Vancouver. I would like to postulate that you ranked VAN so high because as a fan, you understand the logo’s history. I did not know a single thing about the native motifs you’ve explained, and now that I’ve read your explanation I have a LOT more respect for the logo. In seriousness though, I’ve been sending you little tidbits of Flyers history, and I hope other fans have done the same. I would be really interested , when the rankings are all finished, in learning if the process of doing these rankings has taught you anything that would have changed them. Haha, a fair point! And yeah, you caught my slip for sure. I didn’t even notice that myself. 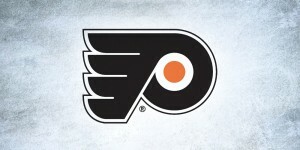 And I definitely appreciate your tidbits of Flyers history. Helpful for the upcoming Flyers’ post for sure. Like you, I love the use of the killer whale and native elements in the logo. My problem with the logo is not that the breaking ice is overdone, it’s that the breaking ice is there at all. There’s no way to make it so that doesn’t look cartoonish. So is there not a way to do away with the ice altogether? 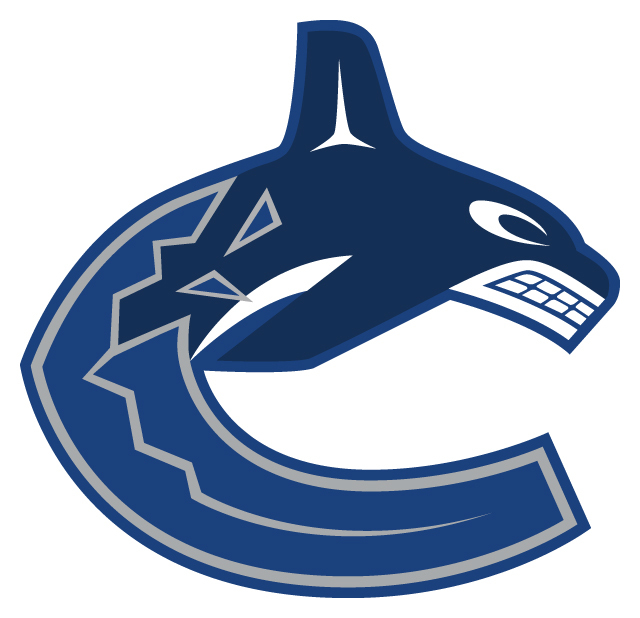 Can we, perhaps, take a traditional native killer whale and rotate it so it becomes a C? I actually played around with doing just that a little bit, and wasn’t crazy about the results, but with more time, I might have gotten something good. I was looking forward to the point where this logo would be on the list. I knew, from past posts, that Vancouver was your team, and I was looking forward to hearing the background behind it. Thanks to your explanation of the native motif, the logo makes so much more sense, and I actually like it more now knowing the background. Before this, I was thinking it was just another silly animal logo. Thanks again, 21 down, 9 to go! You mean the plate of spaghetti logo they had? Yeah, I avoided that altogether. But, retro logos might be something I look into in future posts, so it might make an appearance. The lack of green in the logo is a major faux pas, though. The taunts of “corporate logo” that this one tends to receive are misplaced — Orca Bay never sold anything beyond the Canucks and Grizzlies, it’s not like they were a restaurant chain or retailer, so this logo is no more “corporate” than all the others in pro sports. But the fact that they put the logo in the wrong color for the uniforms (black, blue and grey?) is very weird. When you stick this logo on, say, a blue T-shirt (or many other examples of Canuck merchandise), you don’t even have the team colors present — it looks more like Toronto or Tampa merchandise, for lack of the Canucks’ very prominent secondary color (and the one that makes their color combination at all distinctive), being green. The last team to do this was the NJ Devils pre-1991/92, when their logo was red, black and white despite the uniform’s secondary color being green. There is a reason no one does this mismatch, because it’s aesthetically strange (the reborn Winnipeg Jets are now the other team that does it — their logo doesn’t have their lighter blue, but given that both are blue it’s a bit more forgivable). All it would take is a smidgen of green — somewhere, anywhere — to correct this. Fair enough, but I don’t think the green HAS to be in there. In the jerseys, the green is more of an accent anyway and cashing in on the vintage rage that teams are going on. I’d actually be interested in seeing the green replaced with the other tone of blue from the logo. Not sure how it would look, but it would be interesting. I know they often presented it that way, but I thought on the jersey itself it ended up in black. 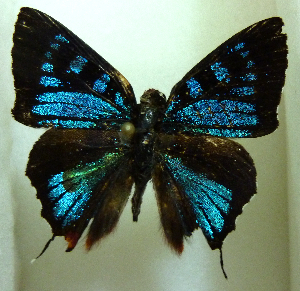 At least it looked that way, but in hindsight, this could just be poor coloring in photographs, I guess. Ok, that was a generally sound defense of the logo. One thing i would strongly criticize about the logo is that the ‘c’ seems drawn in such a way that it’s tipping forward. The tip of the what mouth creeps juuust over the lower tip of the C. Not sure about other people, but I’ve always found it bothersome. Very much appreciate the cultural elements of the Canucks logo, and the current scheme is worlds better that what they had before. That said, formally, I still think is a bit too high in these rankings. Surprised there was no mention of the original “C” logo and the flying skate! Great catch! I noticed that too, but it makes a bit of sense conceptually (as it gives the whale a bit more movement and dynamism to it) and it looked awkward when reduced to match, so I decided not to touch on that. I’m one of those rare Canucks fans who *gasp* likes the current logo better than the old “stick-in-rink” logo. But that logo and the skate are so completely disconnected from the current one, it didn’t seem to make sense to include them. I had wanted to mention this too. The real name of the team from its club days was “Club canadien de hockey”, and that was no accident, referring specifically to the fact that it was the francophone club, unlike the cross-town, caviar-slurping, anglophone Montreal Maroons. Unlike the relationship of the British expats in Canada to the British, the “Canadiens” did not see themselves as an extension of France, hence they were the ones who claimed the “Canadien” identity (in English too, originally). All those Revolutionary War-era American documents referring to “Canada” and “the Canadians” are largely just referring to French Canadians. (The anglos were the Britons they were fighting against). Honestly I always thought this was designed by the same people who did the original Coyotes logo especialy with the use of straight lines. Then again the simularites that caused me to believe that just might be the native elements in both logos. Regardless I’ve always thought it was done well. I’m not a fan of the C/whale logo, but I don’t have anything against whales. I like the hockey stick logo (though I think you could replace the stick with a stylized whale and have the best whalers logo ever. I’m sure I didn’t come up with this but google image search isn’t showing me it existed yet), that’d probably be top 5 for me (my team has yet to show up). Wow. You almost have me on board. This is indeed a great defense of the logo. What I have never liked about the logo is the whale itself — particularly, the teeth. It always reminded me of one of those WWI-era planes with the nose painted to look like a flying shark. That you point out this is an homage to native art in Vancouver is enlightening and makes me like it a little bit more than I did; but ultimately, to people in the other 29 NHL cities w/o this knowledge, it just looks like a crappy, angry whale. So, it still doesn’t pass the “eye test” for me. The rest of the logo doesn’t really bother me at all. I like it’s form as a big, bold “C.” I like the color scheme (and don’t think it needs green). I like the grey outline you think it could go without. And even the “ice breaking” doesn’t bother me — I don’t find it as “extreme” as you do. BTW, I always thought the whale was diving out of a cresting wave; not breaking through ice. In any event, a nice defense (but the Oilers logo is still better). Great post, as always. I still like the original stick in rink logo. It is simple and I just like things better from when I was a kid. Do you remember when the Canucks had their farm team in Rochester in the late 60’s and early 70’s? The Canucks changed the Amerks logo for one forgetable season. The American shield was replaced with a circle with two hockey sticks forming a large “A”. It wasn’t a bad logo, but fans in Rochester associate the logo with the losing Vancouver days. In 1972 Don Cherry came to the rescue as coach and GM in Rochester and returned our old logo and pride back to Amerks hockey. Didn’t know that! Just looked it up and it’s not a bad logo, but the text is really too small to read and not super functional. Thanks for sharing. I can’t believe th Coyotes and Penguine’s logos have survived this long. Seriously? One’s a dog that looks like it’s getting ready to do something lewd and the other is a badly rendered cartoon of Chilly Willy. The Jets, Wild, and Rangers ALL have better logos, IMHO. I’m from Vancouver too but how you can put this above the Flames logo is ridiculous. There’s value in consistency, Canucks lose all of those with 3 radical logo changes. They even lose on this particular iteration because it’s original colours were hideous, not many teams get a chance to modernize their logo, they have to try and stay timeless. Then you’ve got the fact that the Orca themeatically has no part in Canuck history until their purchase by Orca Bay Sporting Group. That always ticked me off as the inclusion of the whale wasn’t a simple homage to the beautiful surroundings but also a sell-out to the parent group. As it stands right now the Orca overpowers the ‘C’ visually so the Canucks theme is lost and to an outsider they’re the Vancouver Whales. Design wise a lot of things are indicative of the era it was designed in. The shards where the whale ‘breaks through’ are like the Sharks and the bold crack down the rest of the C is a modern touch that I doubt will age well. The C is much too derivative of the most iconic logo in the sport, the Canadiens (heck the team name is derivative too). So originality points go out the window. The hockey rink with the stick I like, #10 overall? Maybe. The whale logo? Not even top #20. I hate the Oilers but they entered the league with that stupid logo and had it worn by the greatest player to ever play on the greatest team to ever play. It deserves to be here. I’m weighing in again… I can’t stand the Canucks logo, to be honest. 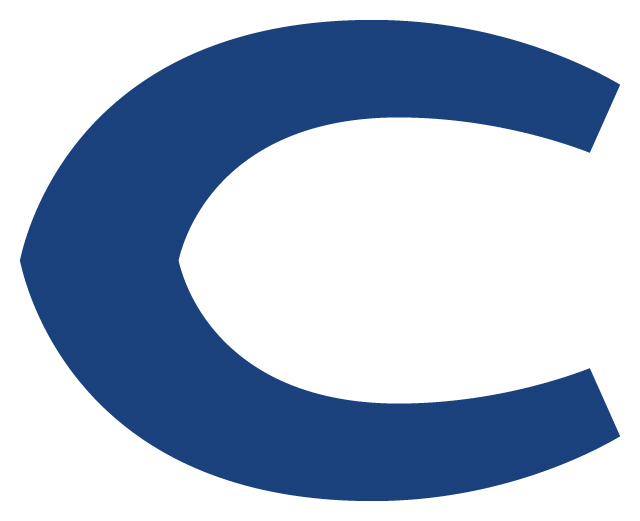 I personally think the old “C” logo was much more visually appealing- clean, simple, and many clever ways to read it. To me I see the “C”, I see a hockey stick, and I also sometimes think of that hockey stick as a killer whale surfacing on the water, in reference to Vancouver’s coastal culture. I actually had no idea the C was supposed to be a skating rink, which adds another layer. All around it’s clean, classic and cool, and still looks hip and modern today even though it was originally designed in the 70s. All the things you want in good graphic design. That’s totally a valid argument. For the Canucks, and the Coyotes, I feel okay with it because they used the design elements from native motifs, and made it their own. Plus, both for Phoenix and Vancouver, those motifs are part of the cultural fabric of the place. To me, I don’t have a problem with it. However, teams like Chicago Blackhawks, or, outside of hockey, the Washington Redskins and the Cleveland Indians, I don’t like at all, as a whole ethnicity becomes a caricature of themselves for the sake of sports. Not a fan at all. By the way, I’m not as big on the old stick-in-the-rink logo. To me, it feels clunky and has no movement to it at all, which is important since hockey is such a fast sport. If they could drop the whole ‘C’ shape concept, I’m hoping for a redesign of the killer whale that actually shows its tail and less teeth. The tail is often the most identifying feature of a whale, as it represents freedom, power and identity, not to mention being a beautiful shape in itself. Native art of the Vancouver region reflects this well as the tail portion is represented beautifully and in many different ways. To lock the tail under ice, as is on the current logo, speaks to me of a team being immobilized and the polar opposite of free-wheeling and dynamic. 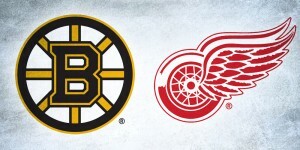 A logo with tail just might have slapped some Bruins against the boards better during last year’s finals and presented us with the Cup. Meanwhile, the teeth, as done in the logo, is representative of angst and lack of poise–again, of being immobilized under ice. We need a more confident killer whale. Gotta say I’m surprised you didn’t start a big killer whale/orca debate here! Especially with Vancouverites… It’s an interesting one, as even marine biologists and taxonomists can’t agree. Did you know that orcas are in fact dolphins? And then it depends which taxonomists you want to believe whether or not to include dolphins as being whales… Both are definitely cetaceans, of that there is no disagreement, and interestingly enough even those taxonomists and biologists who say dolphins aren’t whales, will include orcas in the “toothed whale” category!! Anyway, killer whale sounds cool, and if we’re going to go changing long-used common names in the pacific northwest, it may as well be to a traditional native name, not a Latin one. The only great Canucks jerseys were the ones they wore in the 60’s – especially the 1961-62 season. Too bad those jerseys have rarely been seen and are basically unknown by the public. Ditto for the actual WHL Johnny Canuck logos that the team marketed. It’s interesting to think about what could have been if the Canucks ownership situation was more stable during the early years too. A little known fact is that the original NHL owner was all set to use the WHL style uniforms. You have me here. This defense (and the one for the Penguins logo, although I still hate the Pens as a Detroit fan) totally got me, hook, line and sinker. I do like it when sports logos connect to the city, such as the Toledo Walleye logo (the real fish alternate is classy) or Detroit’s logo. I also like the style the whale is rendered in from a artist’s point of view. ALSO, the Canucks are my western team when Bryan Lerg is down in the AHL (When he’s up here, I like the Sharks)so I’m sorta biased toward the logo. (Learning about the team right now, I love a lot of the old players from when they made it to the finals. )I love the green on their jerseys and am happy it isn’t on the whale, how many green whales have you seen recently? This logo was 100X better when it had red and different blues. You ranked it so well because you’re a Canucks fan. What a shame. Dull, boring, huge downgrade since 2007. I’ve been a passionate Canucks fan for 39 years and I absolutely REFUSE to connect the Orca with the Canucks. 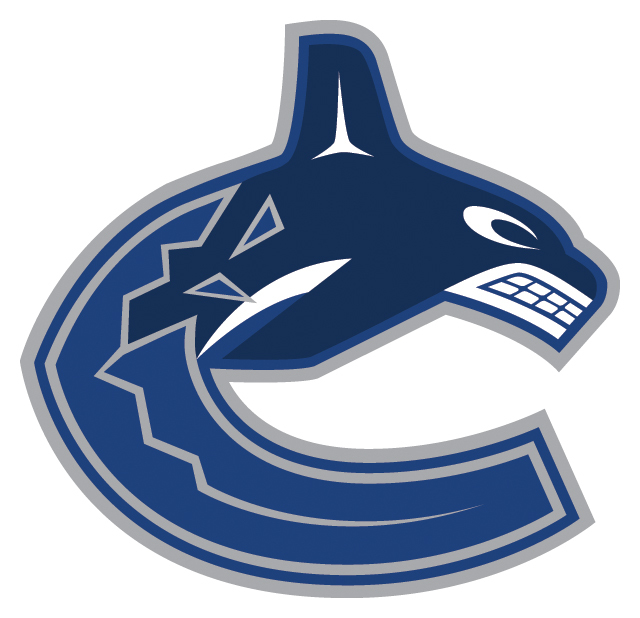 It is by far the worst logo in Canucks history and no other logo has ever divided a sports franchise’s fan base other than this corporate eyesore. A logo is supposed to represent the club’s name and if possible, the sport as well. The Orca was inspired by the former ownership, Seattle-based Orca Bay Sports & Entertainment. When the Canucks moved to GM Place, it was Orca this and Orca that. The logo also has no connection to the Pacific Coliseum days. Furthermore, Vancouver is known for its beautiful natural scenery. That’s what the team colours of blue, green and white represent. There are hardly any orcas swimming around the city’s surrounding waters. First Nations culture is not just limited to Vancouver. In order for the Canucks to have a timeless and classic identity, they need to embrace their heritage and history. That means making the Johnny Canuck lumberjack the primary mark. The Canucks were named after Johnny Canuck, going back to 1945 when they were members of the Pacific Coast/Western Hockey League and the City of Vancouver was built on BC’s longstanding lumber industry.